Kulasekhara Azhwar the ardent devotee of Lord Ranganatha appeared in the royal family of the kingdom of Travancore near a place called thiruvanjiikalam‏ . The Kings of Travancore would offer obeisance’s to the Lord twice a day and be there inside the temple of LORD serving HIM . The King would present his reports to the Lord on daily basis and communicate about the daily administration . He was but just a trustee. (This tradition of the Maharaja of Travancore visiting Lord Ananta-Padmanabha Swami goes on to the present day.) Such was the pious and saintly quality of the ancient line of Vedic kings among whom Maharaja Kulasekhara appeared. King Kulasekara ruled his kingdom in the most vedic manner. It is said that his rule was so good , that people compared it to the rule of Lord Rama in Ayodhya. In due course, King Kulasekara invited learned people from all over the world. Slowly by mercy of LORD understood Lord Sriman Narayana is everything, and the highest purpose in life is to perform service to HIM and HIS devotees. 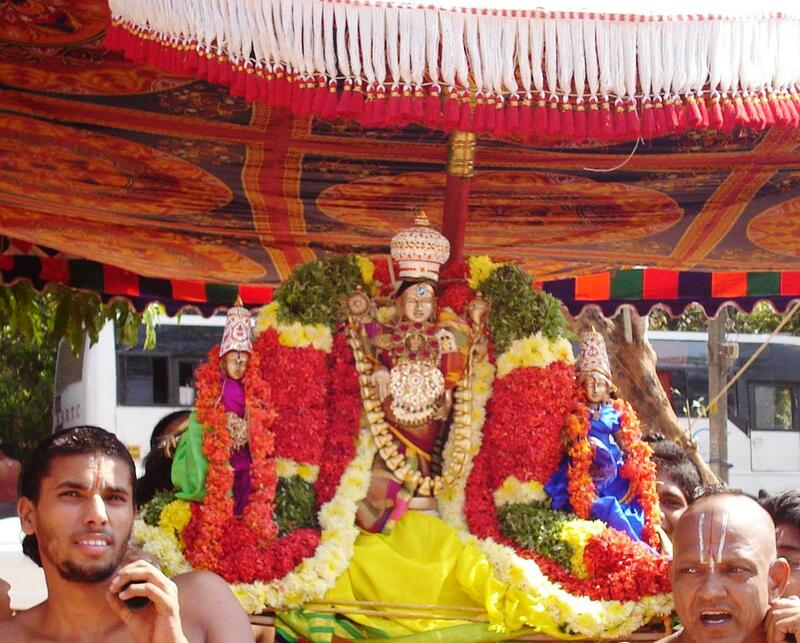 The Lord also blessed Kulasekara with the knowledge and mindset of being a true devotee. Kulasekara visited many holy places, and spent his time listening to the great opulence qualities of the Lord as told in the great epics SrimadRamayana, Mahabharatha and Srimad bhagavatham. 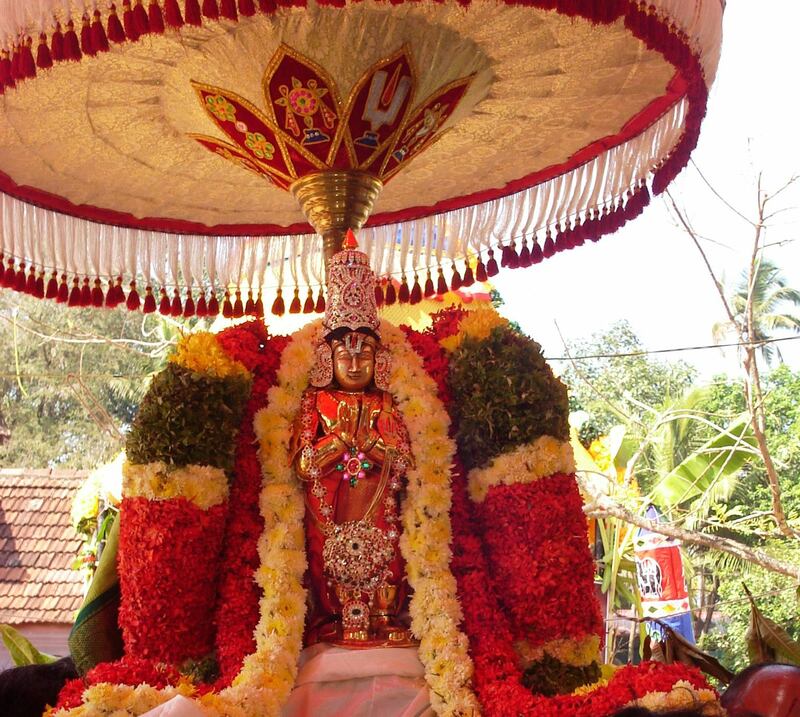 He took special liking to Lord Sri Rama, Sri Krishna, and the Lord of thiru-viththuva-k-kOdu (in present day Kerala). One day, when he was listening to a lecture on Ramayana by a vedic pandit, he became very involved (it was his normal habit for the king to be so moved by the Lord, as to worry about His well-being, just like another Azhvar like Periyazhvar had done). The pandit was emotionally narrating the part where the army of demons, on the command of the demoness Surpanaka , assembled to fight Lord Rama. There were 14000 demons of the biggest variety, and on the other side there was just Lord Rama and Lakshmana. On hearing this, King Kulasekara immediately got up, and commanded his commander in chief to get his army to help Lord Rama in fighting the 14000 demons! On seeing the King so involved , the pundit immediately said “the great Rama, single-handedly defeated the 14000 strong demon army and retired safely to the cottage where mother sita was composed and relaxed ”. This continuity made king Kulasekara calm. This single incident was a lesson to all the pundits to speak always about the safety of Lord . As he was learning and listening to these holy scriptures and concepts, Kulasekara came to understand the special place that the holy town of SriRangam holds for devotees. He yearned to go there, live there, and perform service the Lord of Srirangam – Lord Ranganatha. It is said that every morning, Kulasekara would proceed to SriRangam, abandoning all his duties as the king. On seeing this, his ministers, and prominent people in his kingdom would bring some vaishnavas enroute . On seeing them , the king would pay obeisance’s and invite them to his palace, and serve them all day . At his palace, all the srivaishnavas had free reign. They could go from any room, and could be present everywhere. On seeing such free reign , some of his ministers became jealous, and hatched a plot to change the king’s opinion on them . They decided to execute a plan on the appearance day of Lord Rama (Sri Rama Navami). The ministers stole a very valuable necklace adorned to the deity of Lord Rama and pointed it was the devotees who were worshipping and they may be held responsible for the theft . King Kulasekara asserted that there was no way that the devotees would do such a thing. To rebuke that, he had his ministers bring him a pot containing a poisonous snake and declared that he will put his hand into the pot to prove their innocence. Miraculously, the serpent did not harm the king, and thus everyone was convinced that the devotees had not stolen the necklace. On seeing the miracle , the ministers apologized for their mistake and returned the necklace to the king. Kulasekhar understood that his position came in the way of his desire to serve the Lord and His devotees. 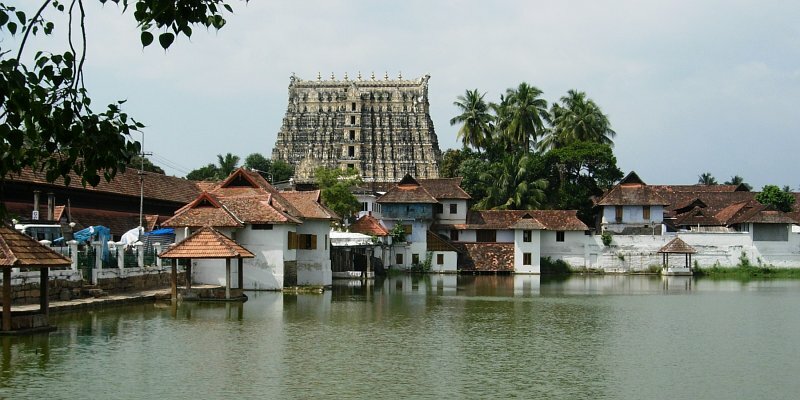 He politely handed over the kingdom to his son and left on a pilgrimage to holy places and settled in Srirangam. Having the LORD’S darshanam he composed a divine poem compilation called “ PerumaL thirumozhi ”. At Srirangam he built the corridor around the temple that to this day called as “kulasEkaran thiru-suRRu” (the Kulasekara passage). 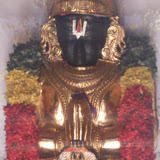 Kulashekara Azhwar submits to LORD VENKATESHWARA in his pasurams regarding having association in some form at Tirumala . He begins with Oh Lord !!! may he become a bird near to the pond at Seven Hills ( TIRUMALAI ) for association … but realises being a FISH is better as the bird may fly away due to any disturbances . 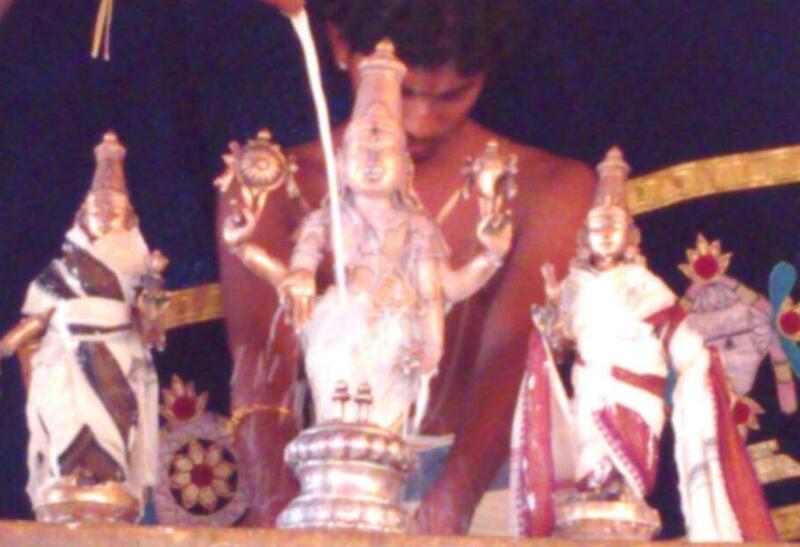 Proceeding his divine out pours he prays LORD may be, becoming that person who holds that golden vessel which is being used for LORDS service as the fish in the pond may swim away and miss that divine chance to come near to the LORD..
Now , Azhwar realises holding the golden utensil may create ego in his mind and that may drive him out away from HIS service. With more introspection , Azhwar prays May he become a flower on a tree that will be offered to HIS holy feet ,but understands that after the flower fades up , the same is thrown out and so the tree too .. He goes to next state and pleads to become a river on thiruvekata hill so that it remains permanent . But doubts with the law of nature If the river dries up ?? Now Azhwar submits unconditionally Oh ..Lord ….may adiyen become that slab of stone where the stairs leading up to your sannidhi since the river may dry up some day.The stepping stone in front of the sannidhi shall always remain watching uninterruptedly LORDS lotus feet ..
with sheer bliss as any other object has an end BUT being just a stepping stone before HIM will always ensure HIS cool grace always ( as a mark of Azhwars love the temple first entry slab is referred as kulasEkaran padi). 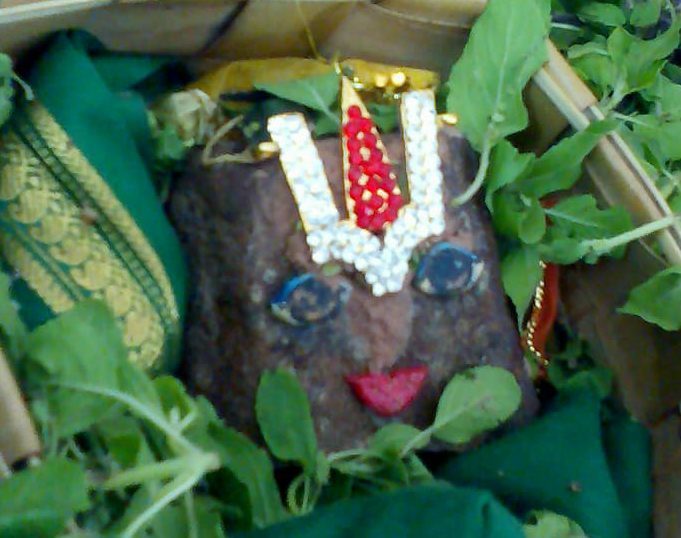 Oh LORD SRI VENKATESHA! YOU are the only one who can eradicate my karmas. Adiyen want to be like the stepping stone at the entrance of your sannidhi where your great devotees, dhevas , gandharvas and humans long to seek your darshan. 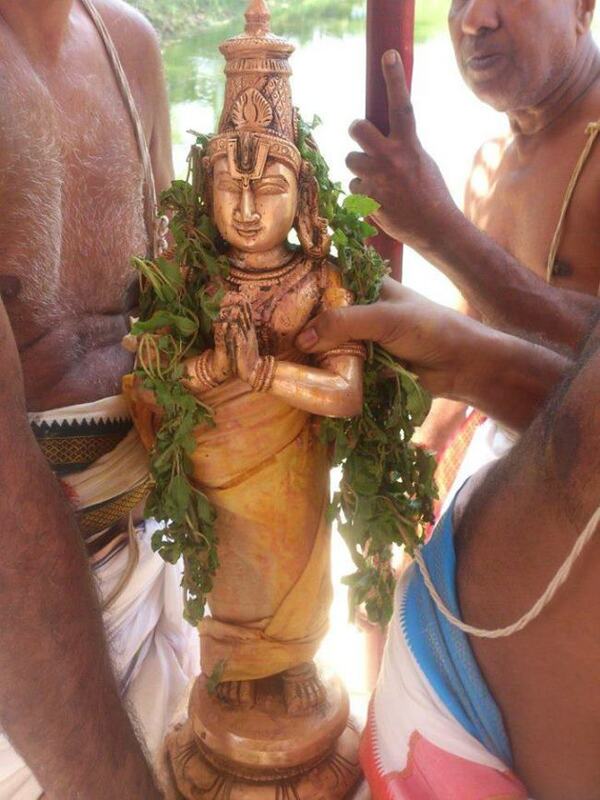 Adiyen wish to remain as your door step where devotees,celestials and heavenly dancers wait in order to see your coral lips constantly..
Kulasekara Azhwar a ardent devotee of Lord SriRama, sang a beautiful decade In Naalayira Divya Prabhandam “ Perumal tirumozhi “ in Gopika bhaavam and Devaki bhaavam . 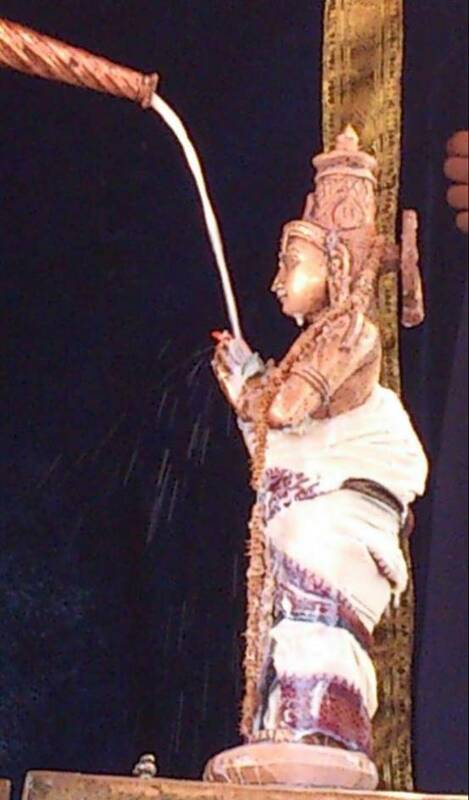 Azhwars Mukundamaala has so much poignant cries surrendering at Krishna’s lotus feet (KrishnO rakshatu jagat guruh!.). 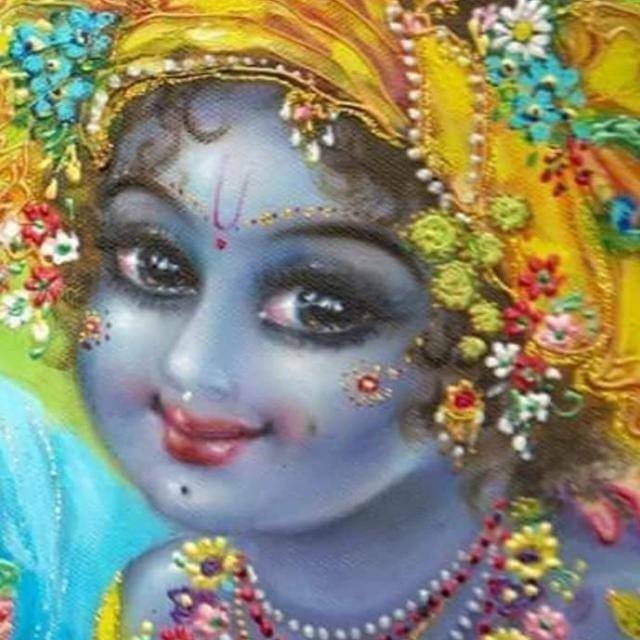 “O Lord Krsna, at this moment let the royal swan of my mind enter the tangled stems of the lotus of Your feet. How will it be possible for me to remember You at the time of death, when my throat will be choked up with mucus bile and air? “Azhwar prays the Lord to keep him in the company of bhaktas, who relish the constant thought of the Lord’s lotus feet. Such devotees are characterised by palms folded in supplication, heads bowed in devotion, hair ends of the body standing upright in joy, tones shaky with emotion, and eyes filled with tears- all tell tale signs of their boundless bhakti brimming over. All glories to the great devotee king Kulashekhara Azhwar . It was great reading it. Thank you very much for providing insight about the great Kulashekara azhwar. Can we know of the crow bar at the entrance of Tirumala temple. blessed are we to go through your posts. 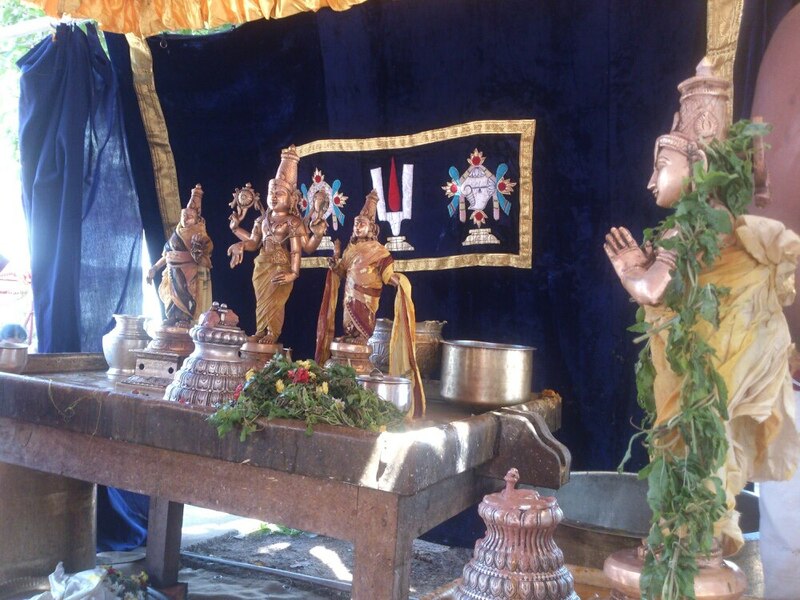 “Patiyai kidandu un pavalavai kaanpaenae…..” No wealth no assets can render such joy – Humility emphasized. How rich is our ancient wisdom! Sriramanuja’s SOUL enthralling Grace will be poured on the one who digs out these treasures!